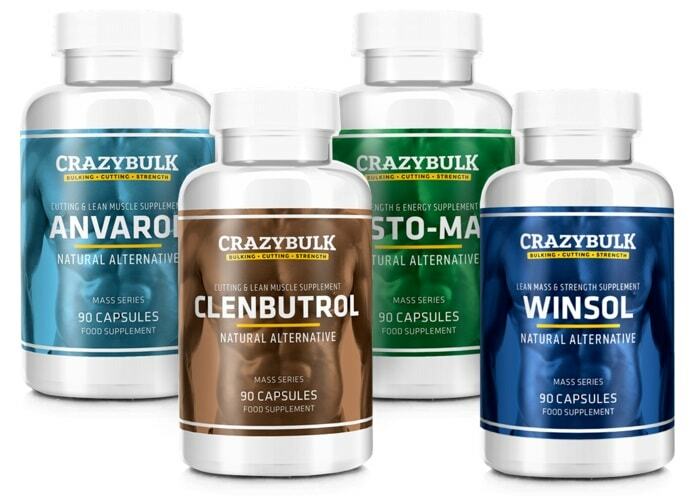 Clenbuterol brings great results but many people are using it to stack with other substances to get even better effects. Learn about the best stack options, the cycle and dosage. Clenbuterol has become the latest weight loss drug to hit Hollywood, and it’s also the top choice of athletes who are looking to get a performance boost. However for some, it’s not enough so they use a Clenbuterol stack to get an even greater boost. You stack Clen the same way you would anabolic steroids. You combine clen with Cytomel, Anavar or other steroids. The dosage and duration depends on your goal and the type of drugs you’re stacking with Clen. 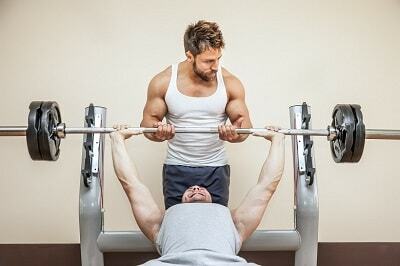 You cannot and should not stack Clen with just any steroid or drug. Your choice must depend on your objectives. Anavar is for burning fat, while Winstrol is for muscle gain, so stacking either one with Clen will produce different results. Clen is usually taken in cycles whether it is stacked or taken alone. Cycling simply means taking the drug for a certain number of days, stopping and resuming, i.e. starting the cycle anew. Cycle duration depends on how much clen you take, what you’re stacking it with and what your objectives are. The recommended dosages also depend on the stack and how long each cycle is going to be. Some go on a 2 day on / 2 day off cycle, while others opt to go on a 2 or 3 week cycle, taking the exact amount of time when they break. If you have never stacked Clen before, it’s all right to try different cycle times to see which works best. For dosages, start with the amount recommended here. If the side effects aren’t so bad, increase the dosage and adjust the cycle duration. Changing the cycle time could actually be good as it prevents saturation. For women who want to take Clenbuterol for weight loss and fitness, 20 mcg is the ideal starting dose. For men, 40 mcg is the recommended amount. These are the typical starting doses whether you’re taking clenbuterol standalone or stacking it with another drug. You can increase the dosage by 20 mcg everyday or every other day. The maximum you can take is 80 mcg for women and 140 mcg for men. Reduce the dosage gradually if you are on a 2 week or longer cycle. Clenbuterol works like a stimulant so don’t take this at night, stacked or not. The best time is lunch and breakfast s it will keep you alert. Clenbuterol stack with Cytomel is good for weight loss. Like clen, Cytomel speeds up your metabolism and burns fat and calories. If you’re having trouble losing weight this stack may help. If you have never taken Clen or Cytomel, take each one standalone for a one week cycle. Say, take Clen for one week and Cytomel the next week just to check if you can handle the side effects. If you can handle both then it’s time for the cycle. An ideal Cytomel / Clen cycle is 2 to 3 weeks on and 2 to 3 weeks off. Take 20 mcg of Clen if you’re a woman and 40 mcg if you’re a man. The starting dose for Cytomel is 25 mcg. The dosage can be increased to 100 mcg. Cytomel has a short half life so you’ll get better results by distributing the dosage throughout the day. Let’s say you take 50 mcg of Cytomel a day. Divide it into two 25 mcg doses for breakfast and lunch. If you take 75 to 100 mcg, divide it 3 to 4 times. There’s no need to divide your clenbuterol dosage however. Most Cytomel pills are sold in 100 mcg pills so you have to cut it into two or three pieces. The 2 to 3 week cycle is the starting point. You can extend the cycle to 8 to 10 weeks. Do not go beyond 10 weeks on a Cytomel and Clenbuterol diet. Some people go for 12 weeks but 10 weeks is good enough for most. Don’t go on this cycle if you’re taking Colestipol, Methadone, Rifampicin, Lithium or Furosemide. Avoid dairy products, milk and supplements with calcium and iron. Your body needs Taurine to burn fat, and it also contains amino acids. Unfortunately one of the side effects of Clenbuterol is it reduces your body’s taurine levels. Low levels of taurine leads to muscle cramps and other body aches. You can prevent this by stacking Clen with Taurine. Take your regular Clenbuterol dosage along with 3 to 5 g of taurine. Take the taurine for as long as you’re on the Clenbuterol cycle. You will also benefit from taking potassium supplements. Anavar and Clenbuterol work well together when it comes to burning fat and cutting. This is not only for those who want to lose weight as it is also a good choice for optimum cutting and enhances the results of your workouts. Anavar is one of the milder steroids so it’s suitable for women. Its anabolic to androgenic ratio is low, though the weight loss effect is still pronounced. An Anavar Clenbuterol stack is good for fat burning as well. Technically you don’t stack Anavar and Clenbuterol as you don’t take them one after the other: instead you take Clenbuterol for one week, Anavar for week 2, Clen for week 3, Anavar week 4 and so on. A 2 week on and off cycle is suitable for most but advanced users can extend it to 4 weeks. Week 1 Clenbuterol: start by taking Clenbuterol 20 to 40 mcg. Increase the dosage by 20 mcg each day so by day 5 you’ll be up to 80 or 120 mcg. At day 6, reduce the dosage by 20 mcg so you’ll be down to 80 or 100 mcg. Lower it by another 20 mcg on day 7 to 0 to 80 mcg. Week 2 Anavar: take 10 to 20 mg for the first two days and increase it to 20 to 50 mg for the next two days. On day 12, take 30 to 50 mg and on day 14, lower the dosage to 40 to 50 mg. While Clenbuterol is for weight loss, Winstrol is used for cuting by bodybuilders. When stacked with Clenbuterol, fat burns faster, you get an energy boost and your muscles get toned. Winstrol is an ideal pair for Clenbuterol because it has very little nitrogen conversion and increases vascularity. This stack is therefore attractive for men who want a ripped body and want to lose fats. Winstrol is available in oral and injectable form. Doses can be as low as 20 mg and go up to 70 mg. The cycle typically lasts 2 to 3 week, alternating between Winstrol and Clenbuterol. Clenbuterol dosage should be as follows. On the first day, take 20 to 40 mcg and increase the dose by 20 mcg up to day 5. Lower it on days 6 to 7. Dosage is the same as that of the Clenbuterol and Anavar stack. On week 2, take Winstrol. Day 1: 20 to 40 mg. Increase the dose by 10 mg. So if you took 40 mg on day 1, up it to 50 mg on day 2, 60 mg on day 3 and so on. Reduce the dose by 10 mg on day 6 so you end up with 50 mg. On day 7 cut it to 40 mg.
Novaldex is used by bodybuilders to boost testosterone following a steroid cycle (anabolic steroids lower testosterone levels). Clenbuterol isn’t a steroid so it is suitable for PCT (post cycle therapy). Take whatever Clenbuterol dosage you’re comfortable with. Novaldex dosages are 20 to 40 mg. The PCT cycle should be two weeks on and two weeks off. This stack should only be done when you finish a steroid cycle. You can take clenbuterol and Novaldex simultaneously. 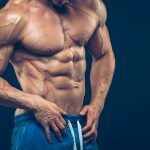 If you’re concerned about your gains if you’ve just done a bulking cycle, combine clenbuterol with another steroid before dong the PCT. Do not extend the PCT beyond two weeks as it’s enough to bring your testosterone level back up. You can stack Clen with other anabolic steroids like Dianabol and Trenbolone. But keep in mind the effect is going to vary depending on what you’re stacking it with. Just remember to take the dosage amount recommended. The cycle also needs to be just the right length so you don’t overdose. One thing needs to said here. No matter what Clenbuterol stack you are on, you will feel the side effects. In fact the side effects will probably get worse since you’ll be using more drugs and steroids. If you would like to get the same effects but in a safe way you should choose safe and legal alternatives.